OpenStack is a set of software tools for building and managing cloud computing platforms for public and private clouds. OpenStack lets users deploy virtual machines and other instances that handle different tasks for managing a cloud environment on the fly. It makes horizontal scaling easy, which means that tasks that benefit from running concurrently can easily serve more or fewer users on the fly by just spinning up more instances. OpenStack provides Infrastructure as a Service (IaaS). The Avi Vantage Platform provides enterprise-grade distributed ADC solutions for on-premises as well as public-cloud infrastructure. Avi Vantage also provides built-in analytics to diagnose and improve the end-user application experience, while making operationalizing easier for network administrators. Avi Vantage is a complete software solution which runs on commodity x86 servers or as a virtual machine and is entirely enabled by its REST API. 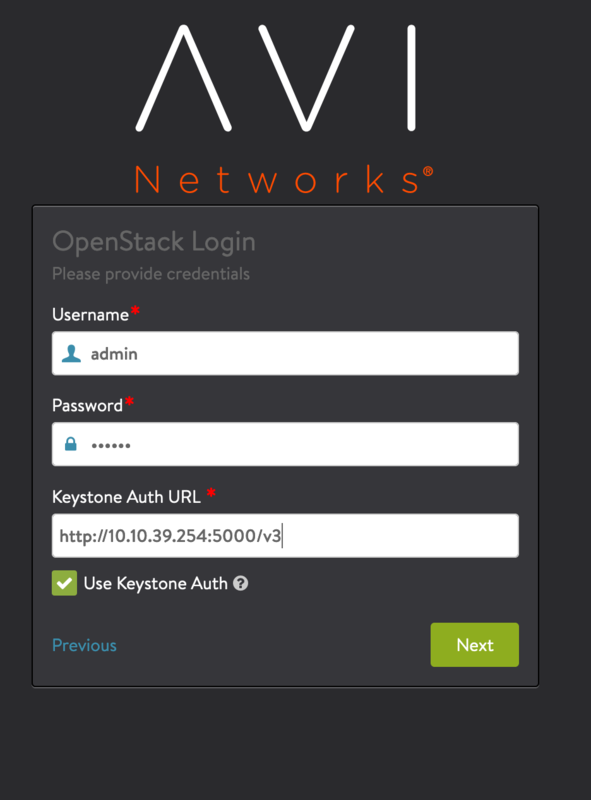 Keystone: The Avi Controller uses Keystone API to authenticate any OpenStack user accessing Avi API. Also, when an OpenStack user logs in, the Avi Controller can also automatically import tenant/project and role information from Keystone to provide appropriate privileges on Avi Controller. Glance: The Avi Controller uses Glance for storing service engine (Avi SE) image. Nova: The Avi Controller uses Nova API to automatically create and destroy application delivery service engines (Avi SEs) as needed to support high availability and performance guarantees. Neutron: The Avi Controller uses Neutron API to plug service engines into right Neutron networks for receiving and sending the application traffic. Neutron LBaaS v2: Users can either use the Avi Controller API (or UI or CLI) to directly configure load balancer instances. Optionally, the OpenStack admins can install Avi LBaaS driver on the Neutron API servers and enable Avi as a provider for Neutron LBaaS API. Horizon: OpenStack admins can optionally install Avi Horizon Dashboard extensions to expose full Avi UI directly embedded in Horizon Dashboard. Users can then not only configure load balancer instances but can also access the full analytics of their applications. Heat: OpenStack admins can optionally install Avi Heat package on the Heat Engine servers to expose all Avi Controller API resource types for users to use in their heat templates. In contrast to LBaaS (v1 or v2) resource types, Avi Heat resource types expose significantly advanced features. Note: LBaaS v1 is deprecated from Avi Vantage 17.2.x. 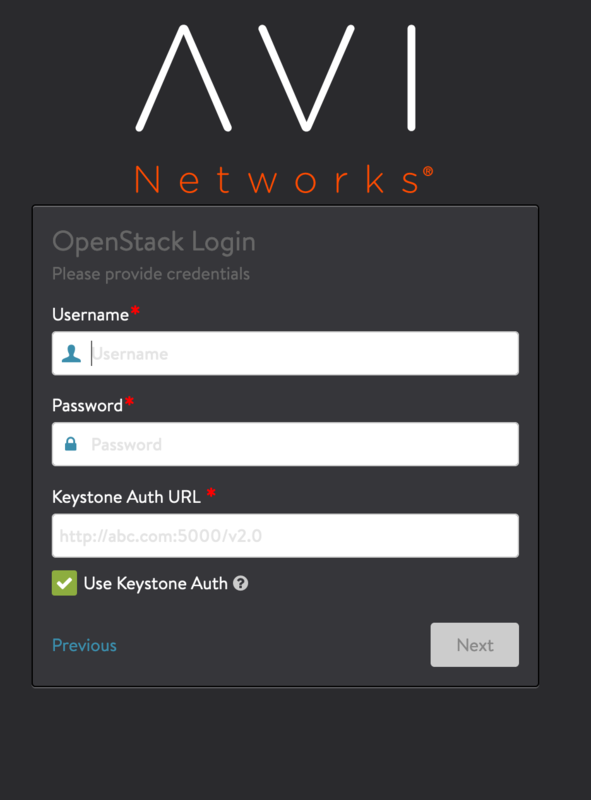 Avi Vantage’s integration with OpenStack is as shown below. If port-security is enabled, the ports are used in AAP mode. If port-security is disabled, the Controller ports are untouched, and the SE ports are created with security disabled. Port-security is set to False by default. Don’t use it unless explicitly requested by the configuration. Avi Vantage can be deployed into an OpenStack cloud in one of the following modes. 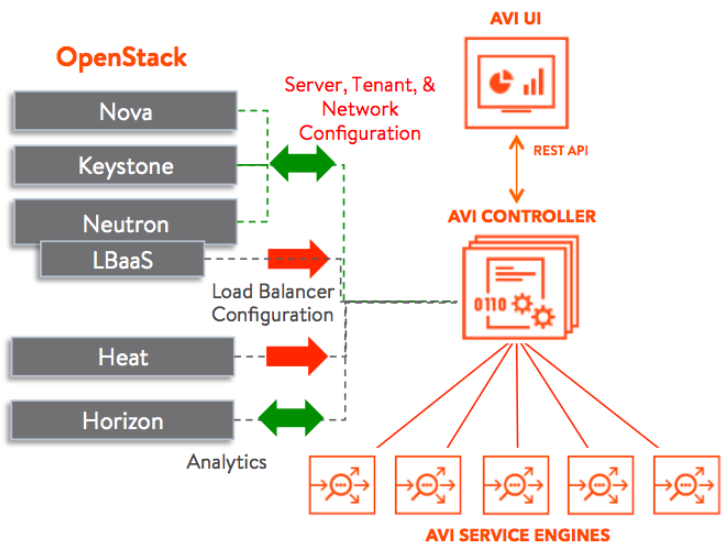 These modes differ depending on whether the Avi Controller and Service Engines (SEs) are placed in the same OpenStack tenant, and whether Neutron LBaaS API or Avi Vantage API is used to create load balancers. Avi-managed LBaaS mode: The Avi Controller and SEs are installed in separate tenants. The Controller has administrator privileges for the cloud and can manage SEs that are in different tenants. A tenant administrator can log onto the Avi Controller to manage the infrastructure resources within the administrator’s own tenant but cannot access the resources within other tenants. The tenant administrator can configure and manage load balancing services through the Avi Controller web interface or through the Avi REST API. Note: The Avi-managed LBaaS option is recommended for its ease of use and advanced feature accessibility. The physical and software requirements differ depending on the deployment mode. The following table lists the minimum requirements for the virtual machines (VMs)on which the Avi Controller and SEs are installed. Add 3 GB for each additional vCPU in the Controller. Add 1 GB for each additional vCPU in an SE. If you allocate more than the minimum number of vCPUs required, make sure to also allocate at least the minimum required additional memory. Cloud administrators can create m1.xlarge flavor of controller image. The following table lists the software requirements. The Avi Vantage image is available in qcow (QEMU Copy ON Write)2 format or raw image of the Controller and SEs. The SE software is embedded in the Controller image and does not require separate installation. In case of OpenStack Generic cloud ( with Avi Cloud Connector), qcow2 image for SE is pushed by the Avi Controller towards OpenStack Glance. In case of a no-access cloud, the qcow2 image for SE has to be downloaded and then manually uploaded to OpenStack Glance. Note: Installation of Avi Vantage into DevStack is supported only if the DevStack/Nova-launched VMs can run in Kernel-based Virtual Machine (KVM) mode, as opposed to Quick Emulator (QEMU) mode. Refer to the DevStack KVM Guide for information. In an OpenStack deployment, the Avi Controller and Avi Service Engines use the following ports for management. The firewall should allow traffic to these ports. Management Net See section below the table. The firewall also should allow traffic from the Controller to these ports. The role_mapping parameter is an ordered list, where each item specifies how a Keystone role (os_role) maps to a role in the Controller (avi_role). A default mapping can be defined for any Keystone role by specifying the “ /* ” wildcard for the os_role field. In the above example, roles admin and member from Keystone are mapped to the role Tenant-Admin in the Controller. Further, any other role from Keystone is mapped to role Application-Operator on the Controller. In some OpenStack environments, config_drive support is either absent or not installed well. Also, sometimes customers prefer that Avi SEs not use config_drive, since using it to configure the VM might prevent SE migration under certain conditions. 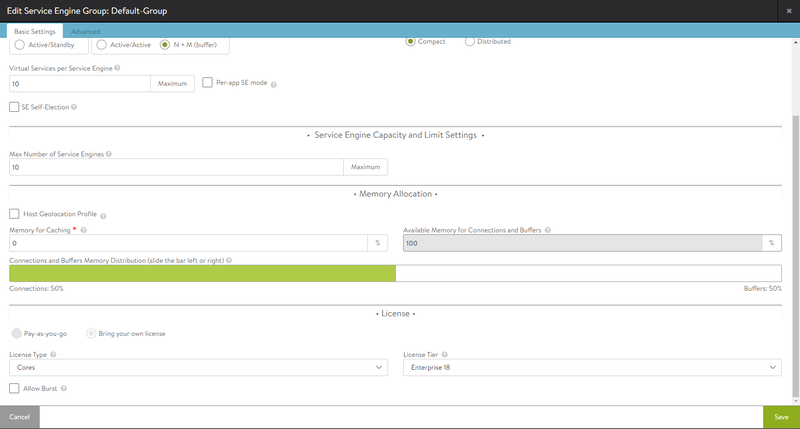 The Avi Vantage OpenStack configuration option uses metadata instead of config_drive for SE VMs. To have Avi Vantage use metadata, disable config_drive. This section provides the steps for deploying Avi Vantage into an OpenStack cloud in single-tenant mode. In single-tenant mode, the Avi Controller and SEs are installed in the same tenant, and have member privileges for that tenant. The member privilege grants the Avi Controller full access to the tenant so that it can automatically spin-up and spin-down an SE. Each tenant is responsible for installing and operating Avi Vantage. Single-tenant installation requires the following procedure. Add the Avi Controller QCOW2 or raw image into the tenant from Glance. Create a management network for the Avi Controller and SEs. Deploy an Avi Controller instance and assign a floating IP address to it. Create a security group to allow Avi management traffic. Use the setup wizard to perform initial configuration of the Controller. Detailed steps are provided below. To upload the Controller Image, execute the following steps. Copy the Avi Vantage Controller image onto your hard drive. Log into the OpenStack tenant account on the Horizon dashboard. Navigate to Project > Images. Click on Create Image and fill out the form. A management network is required for communication between the Avi Controller and the SEs. An existing network can be used but a dedicated management network is recommended. On the Horizon Dashboard, navigate to Network > Networks. Connect the network to your neutron router. a. Navigate to Network > Routers. b. On the Name column in the router list, click on the router to add an interface to the network. c. Click on the Interfaces tab, then click on Add Interface. A security group is required to allow the Controller and SEs to exchange management traffic. The group specifies the protocol ports for which traffic will be allowed. For ingress traffic, the group must allow these ports. For egress traffic, the group can allow all ports. Note: The Controller automatically creates a security group for the SEs. On the Horizon Dashboard, navigate to Project > Access & Security, and click on Create Security Groups. Add rules as shown in the following example, where 192.168.10.0/24 is the management network. To deploy an Avi Controller instance, execute the following steps. Flavor: Deploy the same flavor that was chosen in the previous steps. 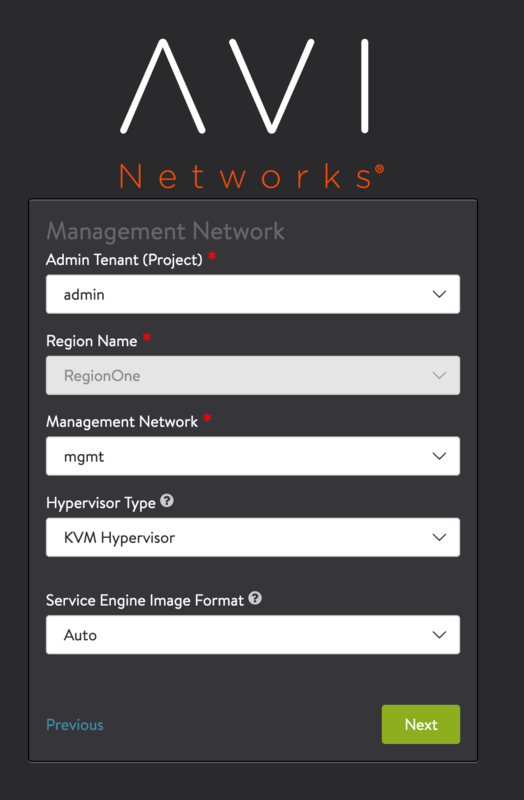 Network: Use avi-mgmt to attach the Controller to the management network. Security group: Use avi-mgmt-sg to allow management traffic. On the Horizon Dashboard, navigate to Project > Compute > Access & Security. If no floating IP address is already available, click on Allocate IP to Project. Otherwise, if a floating IP address is already available, associate it with the Avi Controller instance. This section shows how to perform initial configuration of the Avi Controller using its deployment wizard. You can change or customize settings following initial deployment using the Avi Controller’s web interface. Note: While the system is booting up, a blank web page or 503 status code may appear. In this case, wait for 5 to 10 minutes; then follow the instructions for the setup wizard. Set the Infrastructure Type to OpenStack as shown in the image below. Provide the tenant user credentials (username, password). If you are using Keystone V3 and want to provide a user in the non-Default domain, then please use the notation user@domain-name for the Username field. Refer to following example. If a username test is created as a Keystone v3 user in a domain named default, then explicitly specify test@testdomain when logging into the Avi Controller. If the domain name is not specified, Keystone looks for a domain with UUID testdomain and not the name testdomain. Since no domain with a UUID of testdomain exists, Keystone fails, returning the error invalid user/password. Using the full value in the Keystone Auth URL field. Avi Vantage determines the Keystone API version automatically. When the auth URL is a secure URL (HTTPS), an option to either allow or disallow self-signed certificates will show up. Disable that checkbox in a production environment, since OpenStack services should use proper, trusted certificates. Enable the Keystone Auth option. In the Management Network window, select a tenant. In this deployment, it should be the same tenant into which the Avi Controller is deployed. Choose the management network created previously. 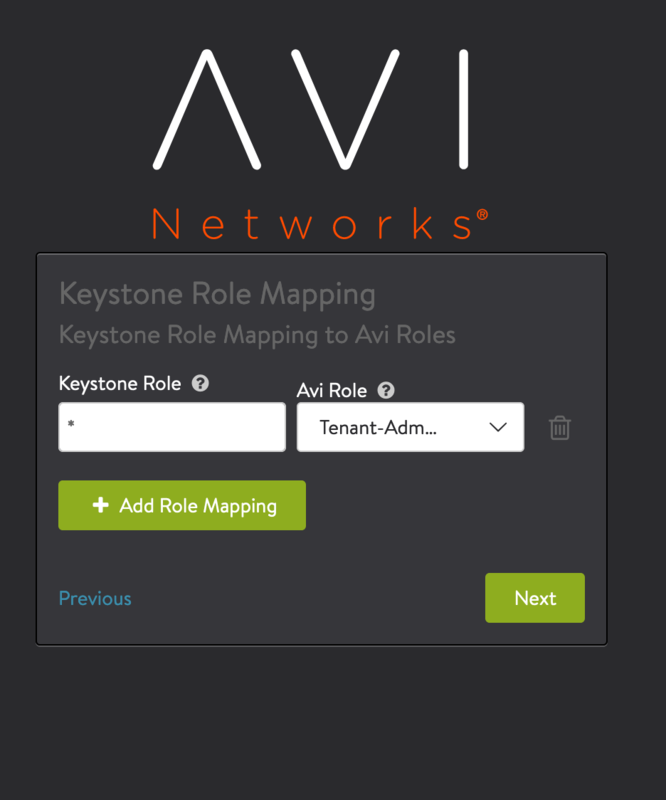 In the Keystone Role Mapping window, select an Avi Vantage user role to use as the default user role. If an Avi Vantage user who logs in with valid Keystone credentials, but with a role that does not have the same name as any of the user roles defined on the Controller, the default role is assigned to the user. To instead disallow access by any user who does not have a role that is defined on the Controller, leave the selection empty (None). In the Virtual Service Placement Settings window, select Import Tenants to import from tenants Keystone and click on Next. Then, in the Support Multiple Tenants window, click on No. To verify installation, navigate to Infrastructure > Clouds, click on Default-Cloud, then click on the Status button. If the status is green, the installation is successful. Avi Vantage integrates with the following Neutron SDN plugins to provide VIP placement and floating-IP (FIP) association to VIP. 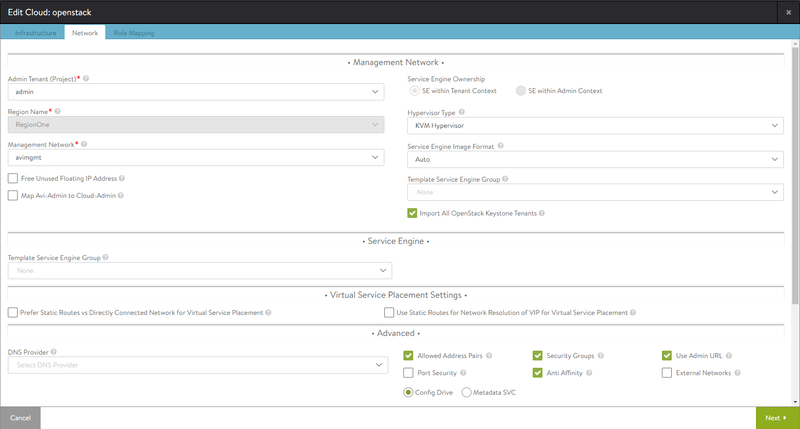 During cloud configuration, select the Integration with Nuage VSD checkbox and provide the VSD host, port and authentication details. During Cloud configuration, select the Integration with Contrail checkbox and provide the endpoint URL of Contrail VNC api-server. The Keystone credentials from the OpenStack configuration will be used to authenticate with the api-server service. Note: Contrail-Interface-IP is handled gracefully by Avi Vantage. So, creating and editing the cloud should be left intact while integrating Contrail SDN under Network Settings. If you are creating a new cloud, the wizard looks as below. If you are editing an existing cloud, the cloud editor looks as below. This section provides the steps for deploying Avi Vantage into an OpenStack cloud in Avi-managed LBaaS mode. Avi-managed LBaaS mode provides tenant users with the advantages of Avi Vantage, without the need for them to perform deployment or maintenance of Avi Vantage. 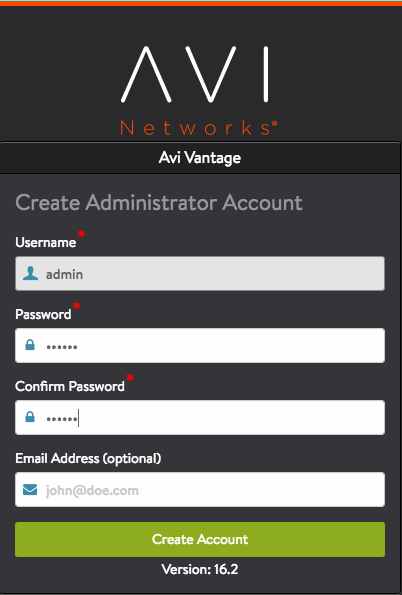 Instead, the cloud administrator deploys and manages Avi Vantage. The Avi Controller and SEs in the administrative tenant are shared by other tenants. Users of those tenants are able to secure and optimize their applications using the Avi Vantage resources that reside in the administrative tenant. Note: Although using an existing tenant instead of creating a new one also is supported, creating a new tenant is recommended for easy maintenance. Deployment of Avi-managed LBaaS mode requires the following procedure. Create a tenant for the Controller and SE. Create multiple flavors of the Avi Vantage image, with different resource allocations to fit different sizes of user tenant, if required. (For example: avi_ctrl.small and avi_se.medium). Upload the Avi Controller qcow2 or raw image into the tenant from Glance. Log into the OpenStack Horizon dashboard with an account that has cloud administrator privileges. Navigate to Identity > Projects. Click on New Project and follow the wizard’s instructions. a. Enter a project name (e.g., “avi-tenant”). b. Click on the Project Members tab. c. Add a user account to Project Members and assign the admin role to the account. d. Click on the Quota tab and modify the maximum resources. These settings allow for three Avi Controllers (for redundancy), up to 1000 SEs and some other managerial instances, if required as shown below. Use these steps to create multiple flavors of Avi Vantage, avi_ctrl.small and avi_se.medium. In the Horizon dashboard, navigate to Admin > System > Flavors and click on Create Flavor. Fill out the forms for flavor avi_ctrl.small. Assign minimal resources to this flavor. Repeat for avi_se.medium but assign more resources to this flavor than to the avi_ctrl.small flavor. Copy the Avi Vantage Controller qcow2 image onto your hard drive. In the Horizon dashboard, navigate to Project > Images. b. In the Name column in the router list, click on the router to add an interface to the network. c. Click on the Interfaces tab; then click on Add Interface. A security group is required to allow the Avi Controller and SEs to exchange management traffic. The group specifies the protocol ports for which traffic will be allowed. For ingress traffic, the group must allow these ports. Note: The Avi Controller automatically creates a security group for the SEs. Navigate to Project > Access & Security, and click on Create Security Groups. Flavor: Deploy avi_ctrl.small or bigger. If a floating IP address is already available, associate it with the Avi Controller instance. This section shows how to perform initial configuration of the Avi Controller using its deployment wizard. You can change or customize settings following initial deployment using the Avi Controller’s web interface. Set the infrastructure type to OpenStack. Tenant user credentials (username, password). IP address of Keystone server. If an Avi Vantage user logs in with valid Keystone credentials, but with a role that does not have the same name as any of the user roles defined on the Controller, the default role is assigned to the user. To instead disallow access by any user who does not have a role that is defined on the Controller, leave the selection empty (None). In the Virtual Service Placement Settings window, select Import Tenants to import from tenants Keystone and click on Next. Then, in the Support Multiple Tenants window, click on Yes. In the Tenant Settings window, select the following settings. Navigate to Infrastructure > Clouds and select the Default-Cloud. Click on the Service Engine Group tab. Click on the edit icon. Note: Ensure that compact placement is selected and Max Number of Service Engines is high enough to meet the needs of all tenants. To verify installation, navigate to Infrastructure > Clouds, click on Default-Cloud, then click on the Status button. If the status is green, installation is successful. This section gives steps for replacing the Avi Controller’s self-signed certificate with one signed by a Certificate Authority (CA). The Avi Controller requires a CA-signed certificate to access the Avi Controller through the Horizon dashboard. Log into Avi Controller’s web interface. Navigate to Templates > Security. click on Controller Certificate to create it. Click on the Import button to import the new certificate and key. Click on the Upload File button and select the certificate from your system. Enter Key(PEM) or PKCS12 or upload the file. After uploading the new certificate and key, configure the Avi Controller to use them. a. Navigate to Administration > Settings > Access Settings. b. Click the edit icon. c. Select the imported certificate and click on Save.